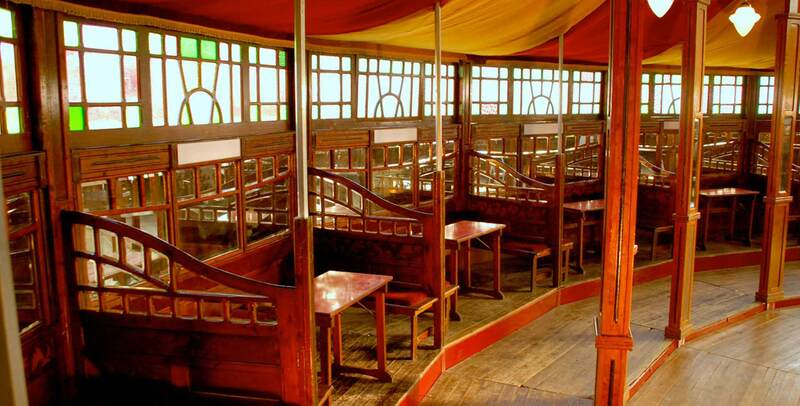 Our oldest spiegeltent, and therefore one of the first ever made. Often judged as one of the best looking spiegeltents in the world. By using warm colors and dark wood, the Romantiek creates its romantic atmosphere. Walking inside makes you remember the times you thought were lost forever. 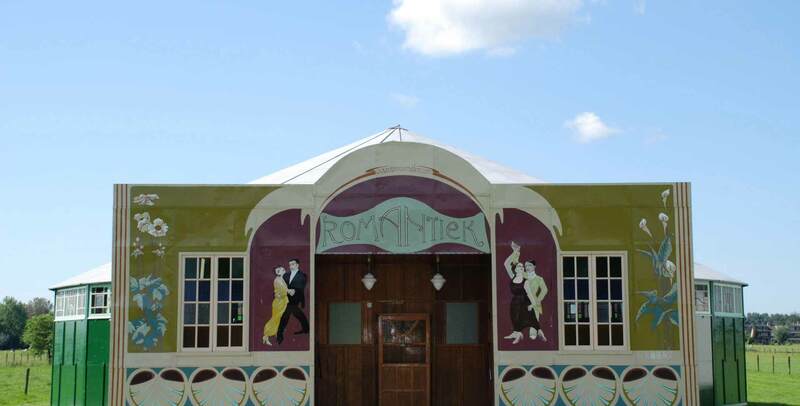 The Romantiek Spiegeltent was the first spiegeltent to have roof panels made out of metal. Which is stronger, lasted longer, was more fire resistant, and could be packed whilst wet. Especially the last benefit was important compared to the roofing they used at that time. 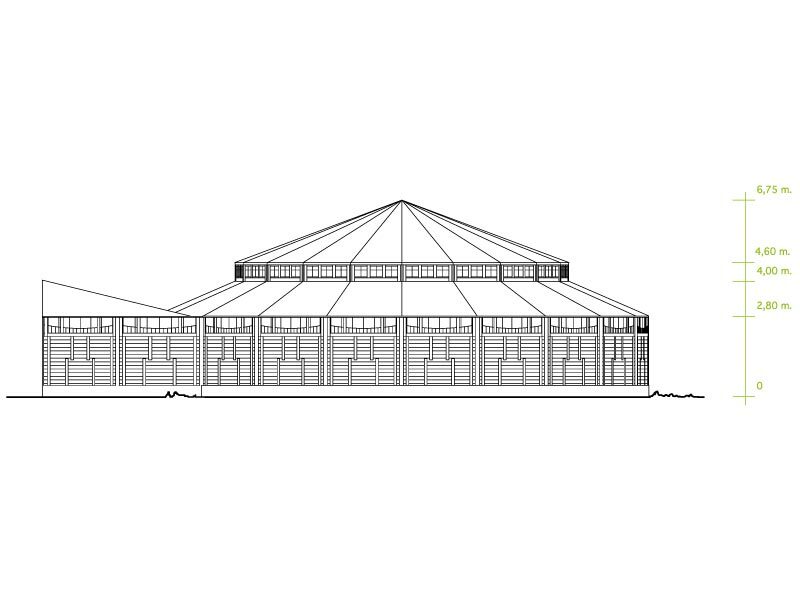 Nowadays this spiegeltent is still build using the same metal roof panels, a sign of pure craftsmanship. The Romantiek is mostly original, something you feel the moment you step inside. 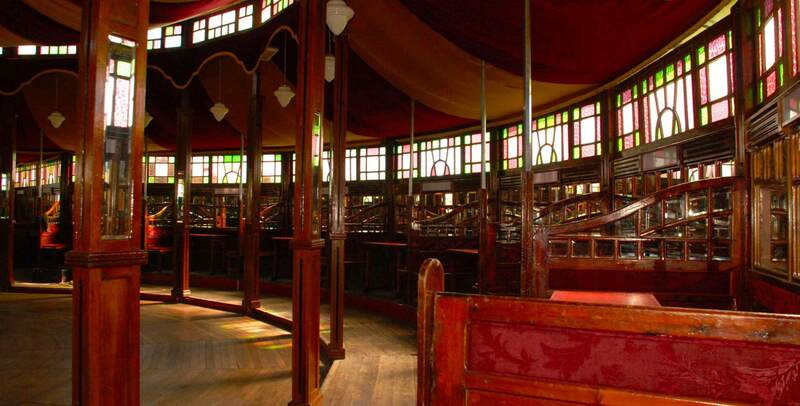 The spiegeltent feels, smells, and breaths history. Many drinks have been done in the booths, and even more dancing has been done on its dancefloor. Romance has blossomed, and that love will never be lost. If you ever feel the need to take a step back in time, please visit this exceptional spiegeltent. The Romantiek Spiegeltent spends a great deal of time at campsite the ‘Lievelinge’, but apart from that she is always available for a special adventure. It may be one of our oldest, but it will last for years. 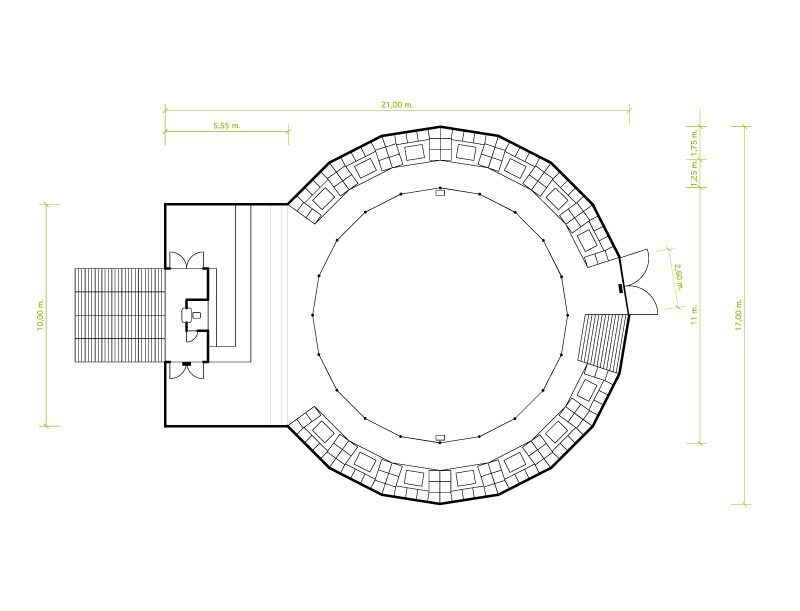 Interested in our Romantiek Spiegeltent? 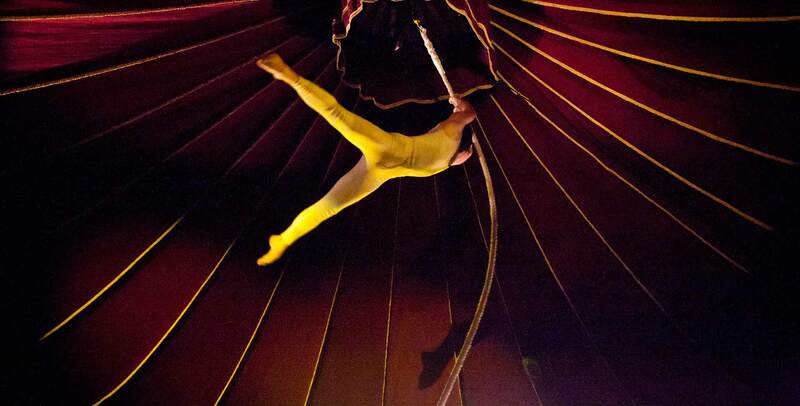 Be sure to visit our spiegeltent hire page.